Maintenance work on July 28. Description of update. Tomorrow all our servers will be brought down for usual update maintenance at 5.00 AM (NY, USA; UTC-5) on 07/28//2016, we estimate it to be around 2 hours, so please, don’t play the game this time. 1. New «Talent» function added. This function opens at level 80. Talent Card: You have to collect fragments of cards to create cards. You can receive it from special event or from Bonus Gifts. Created Talent Card gives you bonuses to your stats. Different rads give you different bonuses. 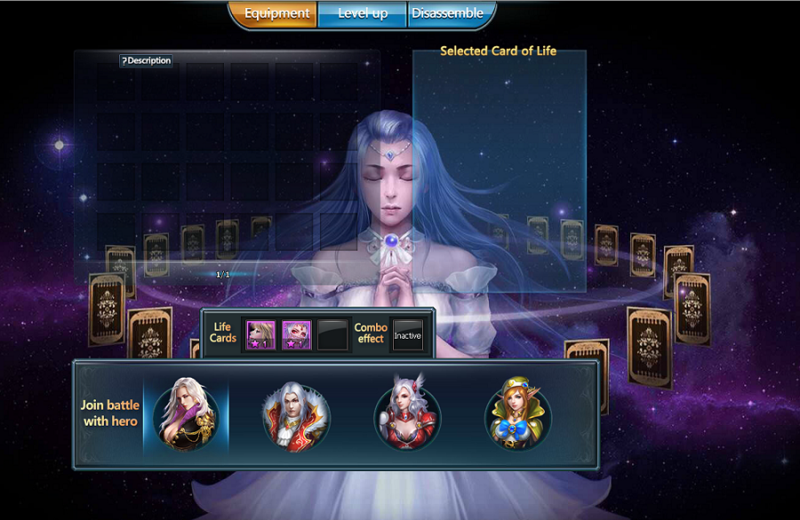 Each card has different level and imrovement function. Cards interact with each other and give a synergy bonus. 2. New «Gem Mark» function added. This function opens at level 85. Gem Mark: Allows players to imrove Gems. Can be upgraded by Mark Energy Stones or Gold. This function also gives you bonuses to your stats. 3. New «Wing Boosting» function added. This function opens at level 100. 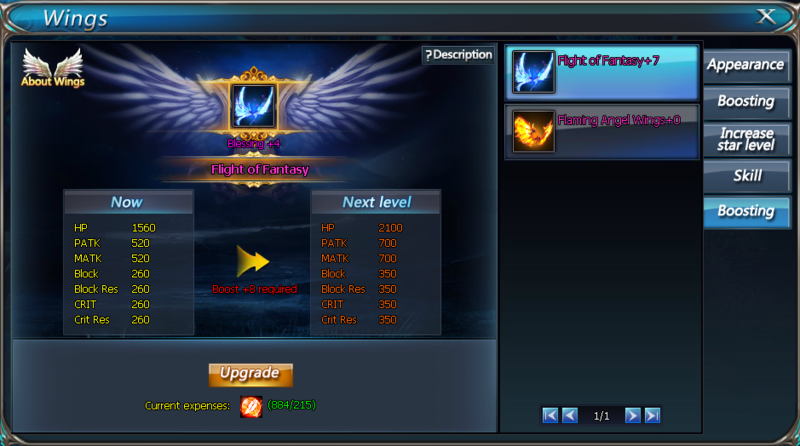 Wing Boosting: This function allows players to upgrade each pair of wings. It can be upgraded by Plumage Spirit or Gold. Wing Boosting also gives bonuses toy your hero stats and makes him/her stronger. 4. New «Astrodisk» function added. This function opens at level 90. 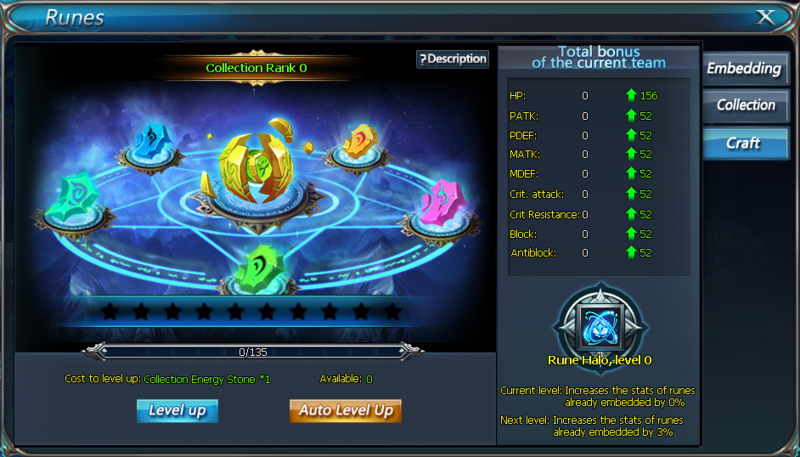 Astrodisk: this function allows players to boost stats with each upgraded level. And also gives immune to damage effects for player's heroes. 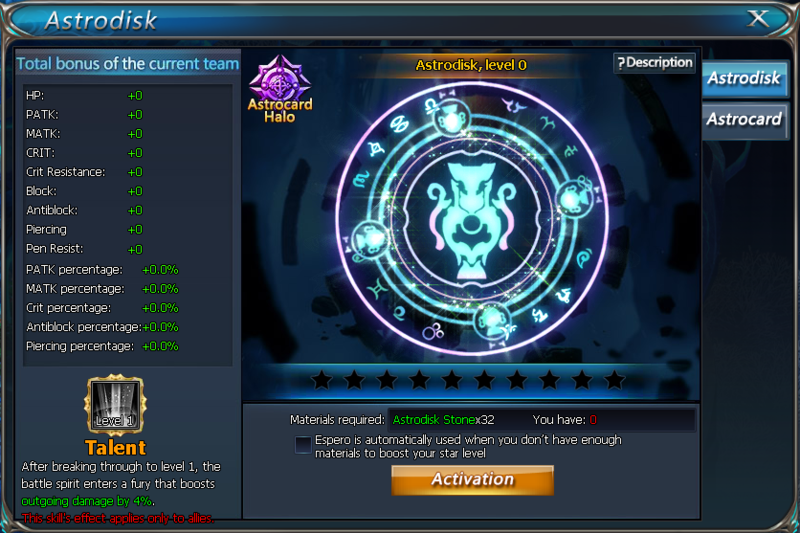 To upgrade it you need Astrodisk Stones (can be bought for Gold). Astrocard: this function does pretty much the same as previous function. 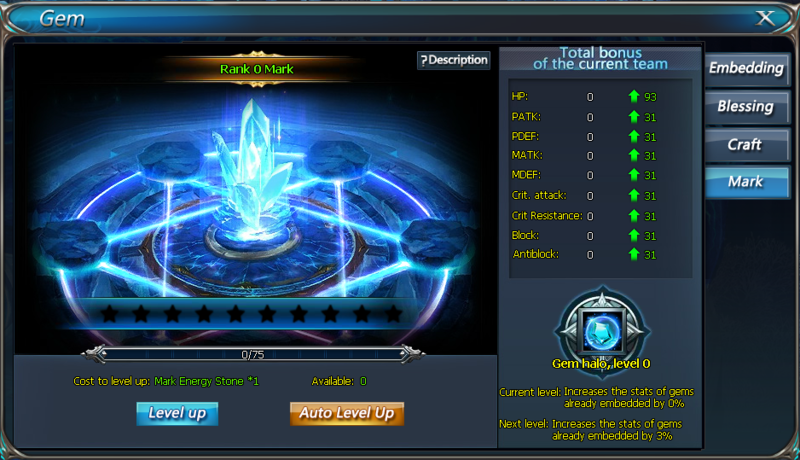 But to upgrade ot you need diffrenet items, in this case you need Constellation Stones (can be bought for Gold). 5. New «Runes Craft» function added. Runes craft: This function allows players to imrove Runes. Can be upgraded by Collection Energy Stones or Gold. 6. Function «Elemental» was fixed.